We will not look at Pascal’s Provincial Letters (1656-1657) yet, as we should examine the context in which Blaise Pascal attacked the Jesuits. There is a history to the debate at the center of which is free will. Jansenists believed in predestination, which was the negation of free will and which would be condemned under pain of excommunication. As for the Jesuits of 17th-century France, their practice of casuistry permitted the commission of horrendous sins, including homicide (Chapters 13, 14). Eventually, both Jansenism and casuistry would be considered unacceptable. However, the degree of moral irresponsibility casuistry allowed was so offensive that Pascal attempted to rescue his friends at Port-Royal-des-Champs, Jansenists, by attacking casuistry vehemently, but with finesse. 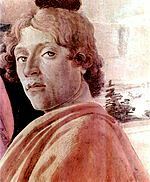 In an earlier post, I noted that Machiavelli lived in a jungle: the Medici family, whose members could have perished had it not been for their ruthlessness. (See House of Medici, Wikipedia). They ruled Florence when Italy was a group of city-states headed by powerful families: the House of Medici, the Gonzaga, the Este, the Sforza, etc. Moreover, the various families tried to have members named Pope so they could control the Church. In such a world, a prince had to be ruthless. The Cistercians nuns of Port-Royal-des-Champs Abbey and Port-Royal Abbey in Paris also lived in a jungle. Christianity was no longer unified. There were Anglicans, Lutherans, Calvinists, Huguenots (French Calvinists), etc. Moreover, Catholicism itself had long been divided into two rites: the Roman and the Orthodox rites. If the Roman Catholic Church were further fragmented, could Roman Catholicism survive? Hence casuistry. Reforms were needed, such as forbidding the sale of indulgences, allowing divorce in certain cases, not levying a heavy tithe on the very poor. Greater toleration of different faiths may also have contained the growth of Protestantism, but Jansenists themselves were far too stern. They believed in predestination, depriving Christians of a way a ensuring the salvation. The religious wars, ushered in by the Renaissance were pitiless. However, saving Roman Catholicism did not require Casuistry, nor did it require the austerity (an extreme) of Jansenism. Casuistry was so relaxed a form of Catholicism that it allowed homicide. (Letters, Chapters 13 & 14.) Jesuit Casuistry in 17th-century France could forgive a large number of sins, if not most. There is an acceptable form of casuistry in the field of Law. Casuistry is often compared to jurisprudence, a study of cases. But as I wrote above, Jesuit casuistry was an extreme as was the notion of predestination. The controversy between Jansenists and Jesuits did not center as much on “grâce suffisante” compared to “grâce efficace,” a theoretical debate, as it did on moral irresponsibility: casuistry! Whether or not grace was suffisante (sufficient) or efficace (efficacious) was unlikely to unleash so impassioned a rebuttal as Pascal’s eighteen 18 Provincial Letters. These definitions are based on the belief that human beings are born guilty of the original sin and must expiate. That is the source of the problem. 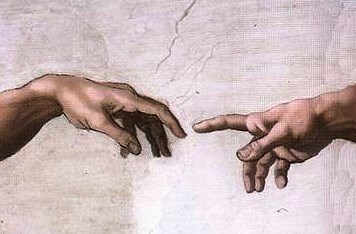 According to the first definition, which is not clear, man is given sufficient grace. But, according to the second definition, only God can grant enough grace to open the door to Paradise and God chooses whom he will save, which is predestination. This dogma, predestination, was refuted by Augustine of Hippo in his early debates with British monk Pelagius (354 – 418) who also opposed predestination. Pelagius believed that man could ensure his salvation through good deeds. Later, however, Augustine of Hippo grew to believe he needed grace to fight sin, especially original sin which he believed was “transmitted by concupiscence.” (See Caption, below.) 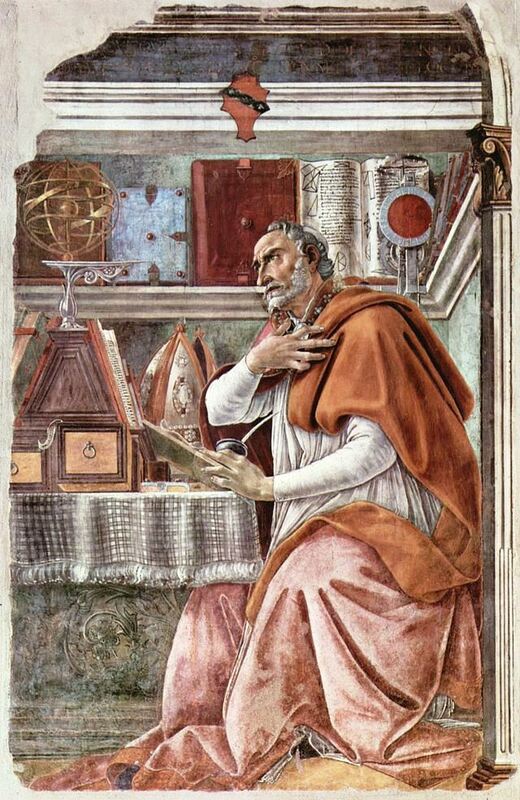 Augustine was flesh and blood, or all-too human. However, Augustine of Hippo became an opponent of Pelagius who was declared a heretic at one of the Councils of Carthage and whose doctrine, Pelagianism, was condemned. Pelagius is the author of De libero arbitrio (On Free Will; 416 CE). Pascal’s main target was Spanish nobleman and Jesuit Antonio Escobar y Mendoza (1589 – July 4, 1669) who was the author of Summula casuum conscientiae (1627) and some eighty other books. Ten years after the death of Antonio Escobar, in 1679, his books were condemned by Pope Innocent XI. As for Pascal’s letters, they were destroyed immediately by order of King Louis XIV. Later in the 17th century, Jansenism would be condemned by the Church in the apostolic constitution Unigenitus Dei Filius, promulgated by Pope Clement XI in 1713. The nuns of Port-Royal-des-Champs where forcibly evicted in 1709 and sent to other convents. The buildings of Port-Royal-des-Champs Abbey were razed that same year. Port-Royal Abbey, in Paris, was not destroyed, but it was used for various purposes and was dechristianized during the French Revolution. Casuistry, which Pascal had discredited, was condemned. Yet, if there was a winner, it was Pascal. 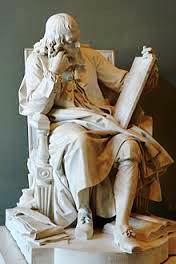 His Lettres provinciales (1658-1659) dealt a fatal blow to casuistry and constitute a literary masterpiece, condemned by Louis XIV. The Church is a human institution founded in the name of Christ during the First Council of Nicaea (325 CE). Its founder is converted Roman Emperor Constantine I. (See Constantine the Great, Wikipedia) Constantine I settled in Constantinople, the former Byzantium and future Istanbul (1929). Pascal’s Lettres provinciales were seemingly written to a person living outside Paris, in one of the French provinces: Normandy, Bretagne, etc. For protection, Pascal used the pseudonym Louis de Montalte. But Jansenism did not disappear quickly. Quebec was a mostly Jansenist province of Canada until the 1960s. Catholics were pious and feared God. Pascal’s Letters are still read. They are a masterful satire, a model to Voltaire’s Candide. Casuistry was also ridiculed by Molière and La Fontaine. In Molière’s Tartuffe (1664 – 1669), Tartuffe, who feigns devotion, tries to seduce Elmire saying that he knows how take sin away. (See Casuistry, or how to sin without sinning.) Molière rewrote Tartuffe twice before it was considered acceptable. We looked at the Lettres provinciales mainly as a biting satire of casuistry, which it is. However, as we have seen, Pascal’s work has other dimensions. Humans are born guilty of the original sin and must be baptized promptly and, according to Jansenism, despite a virtuous life, they will not be saved, unless God has chosen to save them. The Church being a human institution founded in the name of Jesus of Nazareth, it may be important to consider that Jesus told such parables as the Prodigal Son and the Woman Caught in Adultery. He preached forgiveness and unconditional love. It may also be very useful to remember that Jesus of Nazareth has been called our Saviour and our Redeemer. “casuistry”. Encyclopædia Britannica. Encyclopædia Britannica Online. “Pelagius”. Encyclopædia Britannica. Encyclopædia Britannica Online.